I‘ve been teaching PiYo for several years and have seen dramatic improvements in my flexibility. The layers build from a slow pace to a faster pace for added cardio benefits, so you get strength training, cardio and flexibility training all in one workout without the impact on your joints. This Turbo Kick Signature Moves tutorial teaches you the core moves commonly seen in a Turbo Kick Live class. As a group fitness instructor, I find that new students struggle the most with the Twist, Capoiera and the Ginga, so I made sure to cover those as well as the Wheel and an overview of punches and kicks. Perfecting your form and execution of the core moves in Turbo Kick gives you better results from your classes. Kicks shape and sculpt your legs and glutes. Punches shape your shoulders, biceps and triceps for sculpted, beautiful arms. 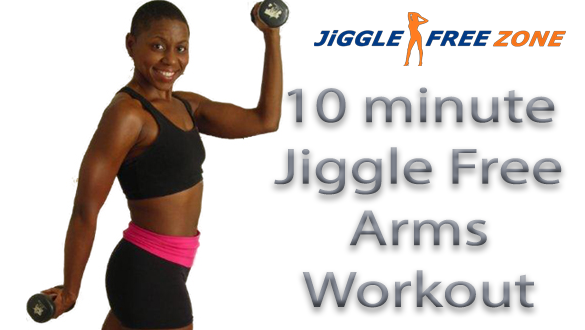 And signature moves like the Twist, Ginga, Wheel and Zig Zag tone and flatten your abs. 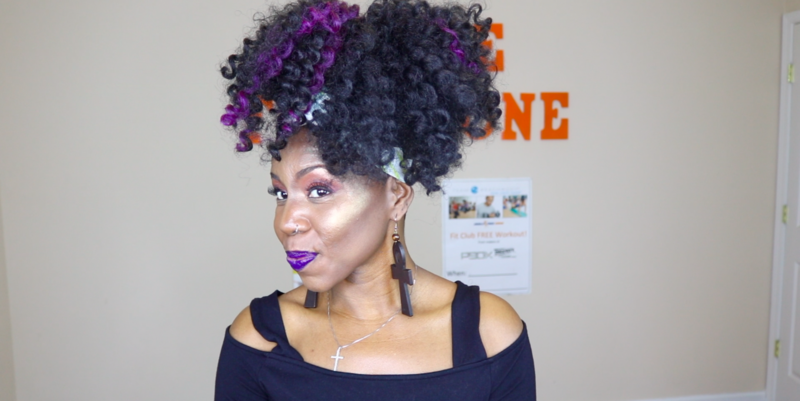 This is my review of the Freetress Ringlet Wand Curl. 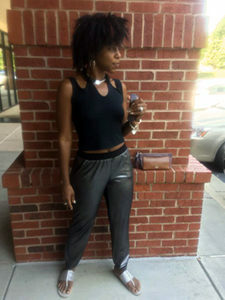 This style is so edgy and so fierce! I absolutely loved the finished look! When it comes to hair and fashion, I’m such a risk taker. I’ve been wanting to try this color combination together for a while and finally decided to just go for it. Link to purchase hair. The best thing about crochet braids, is you can change your hair color without dyeing your natural hair. 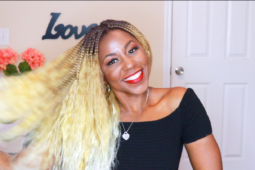 You can try any color, curl pattern and length you want without damaging your natural hair, so crochet braids are a true protective style for which the options are limitless! nother workout proof crochet slay! I came across the Femi Collection Mali Curl on sale at my local beauty supply for $2.99 a pack so I stocked up on the 1B and also picked up some in different shades. I figured for $2.99 a pack, why not experiment with some color? This hair was super easy to work with and the styling options are limitless. I had so much fun styling this hair and got tons of compliments.